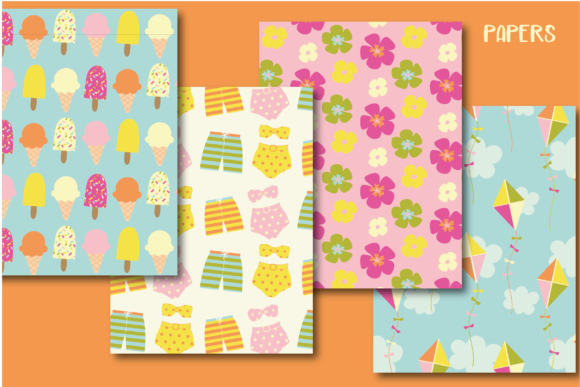 A sweet set of summertime papers, created in a bright colour palette. Perfect for party invites, stationary , birthdays and summer themed crafts . Digital set of 12 coordinating papers. 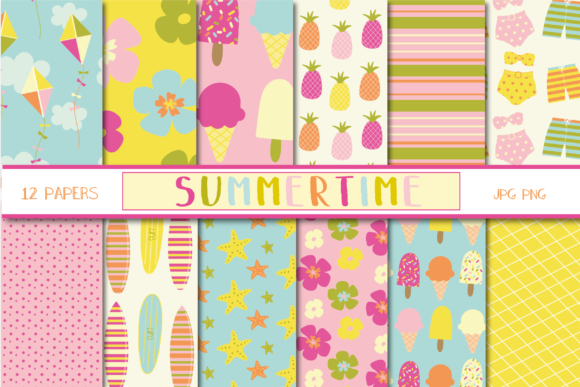 Coordinating summertime clipart can be downloaded separate.